Interesting ... do they do that often? Does one think the other has found a hidden treasure so he wants some of the action too? No matter, they're simply the best. Oh, those two !!!!!!! They're like unattached Siamese twins ! Kind of makes you wonder if they spend hours conferring on ways to be photogenic; doesn't it?? Oh, there is Mom with that camera, let's try Plan F this time! These shots are truly amazing. Are they usually this close together when they're eating? They really are cute and you get such great pictures of these two. Wonder what they're up to. Those boys just can't take a bad picture, can they?! Always love photos of them doing what they do best...being adorable. "Let me know if you find anything and I'll let you know what I find over here!" 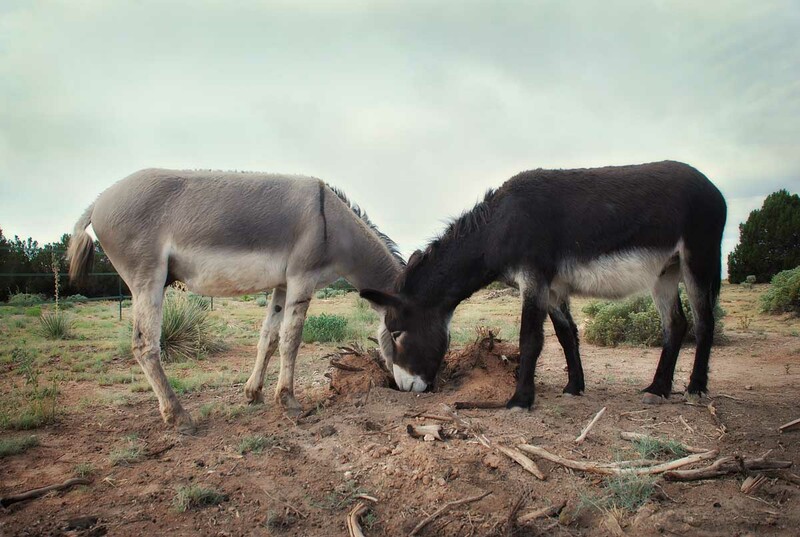 I wonder if this the nature of burros or are they so docile because of the time you invest in them? Do you ever see bad sides, grouchy moods (in them, I mean)? It makes me want one. Sweet boys! Love the cloudy skies in the background--we've been getting some nice rain lately, although the folks up in the Northwest must think me crazy for saying so. By the way, I've been following your Twitter battle against the ants. Around here, people sprinkle borax around the perimeter of the house. Two perfect peas in a pod. Love me some George & Alan. They are just too stinking cute. They are the most perfect burros (along with the Morning Bray gang) in america. They shed out quick! Pepe at our place is still looking like he has mange. yeah, what everyone else said! I just love those two. I love those guys. Beautiful shots, too. I really like the soft tonal quality you've got goin' on there. We were driving through the Horseman's Park in the stalls area. There was a Burro. I stopped the truck next to his stall to tell him how beautiful he was. In the back seat my sister tells me that her friend says Burros are stupid. I put my truck in park and tell her to get out of my truck. 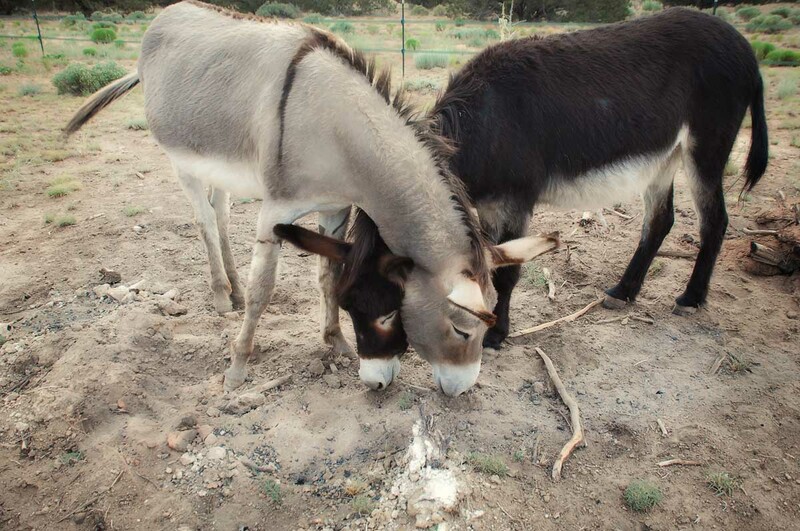 Ya know what they say....two burro heads are better than one! They are just too stinkin' cute!!! too funny.......so peculiar and sweet!!! Oh My...they are Sooo Very Dear! Such sweet pictures of these two Beauties!